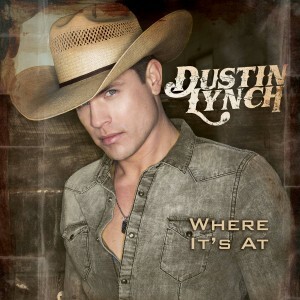 Dustin Lynch is no stranger to country music. His number one, self-titled debut album produced three top 40 hits, including “She Cranks My Tractor,” Wild in Your Smile,” and Cowboys and Angels,” which landed in the number two spot for the country newcomer. His sophomore album was released on Sept. 9, and his first single from that album, “Where It’s At (Yep,Yep)” already garnered a number four hit, and reached number one on the U.S. Country Airplay Chart. There are 15 songs on the new CD. Along with “Where It’s At (Yep,Yep)”, you will get Hell of a Night, To the Sky, Halo, After Party, Mind Reader, Where We Want It, She Wants a Cowboy, Sing it to Me, All Night, Middle of Nowhere, World to Me, What You Wanna Hear, Your Daddy’s Boots and American Prayer. “She Wants A Cowboy” became my immediate favorite as I listened to the songs. I hope Dustin will consider releasing that one as a single. There was nothing on the album that I didn’t like, and there was nothing on the album that doesn’t fit in with what we are used to hearing Dustin do. This is one artist who really needs to keep doing what he is doing now. It is a sound that not only works for him, but it works for country radio. He is as country as he needs to be for today’s market, and definitely country enough to keep the cowboy hat on. “Sing It to Me” is another song that is unquestionably ready for the radio. Like “She Wants a Cowboy,” Dustin had a hand in writing “Sing It To Me.” There were some early Dustin Lynch songs that will never be among my favorites, but it seems he has left things like “She Cranks My Tractor” in the past. He’s growing both in his writing, and in his performing skills. He seems to be doing everything right these days. The album closes out with “Your Daddy’s Boots” and “American Prayer”. They are both slow to mid-tempo, both great stories, both songs that will get you thinking yet, the subject matter in both songs is completely different. Dustin has a great mix on this album. It’s all good country music. “Hell of a Night” and “To the Sky” start the album off in the first and second spot. While these are fast, and you might want to turn the volume up on them, they are still country enough that I don’t think they fall into a ‘rock’ category. For me, that’s a good thing. “It’s where I am as a person and an artist,” Dustin told Rolling Stone Country. “All the songs on the record are moments I’ve captured and pull down. They were inspired by my excitement for life. So [the album title] Where It’s At sounds pretty perfect”.